We foster the ideal that any of our students can succeed with the right academic, social, (and for some) financial support. In association with the Adelante Hispanic Achievers of Louisville and our celebration of diversity, we are excited to offer a four-year, full tuition scholarship to a deserving Adelante Achiever applying for enrollment in Walden’s High School program. • Demonstrates an excellent commitment to their academics, exemplified by a high GPA or standardized test score(s), display of fine art or athletic talents, active involvement in extracurriculars, leadership roles, etc. 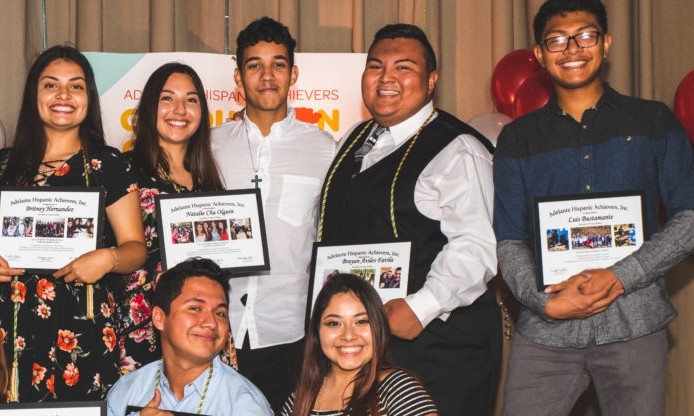 9th Grade applicants who are part of the Adelante Hispanic Achievers program are automatically considered for the scholarship. Basis for scholarship consideration include academic, extracurricular, personal and volunteer achievements. If you’re interested in applying for this scholarship, please fill out the brief information form below. If you are currently not an Adelante Achiever, we encourage our students of Hispanic descent to join the fantastic program!